A yellow-bellied marmot keeps an eye out while it gets a bite to eat. Related to groundhogs, yellow-bellied marmots are getting fatter and bigger because of the longer growing season brought on by climate change. 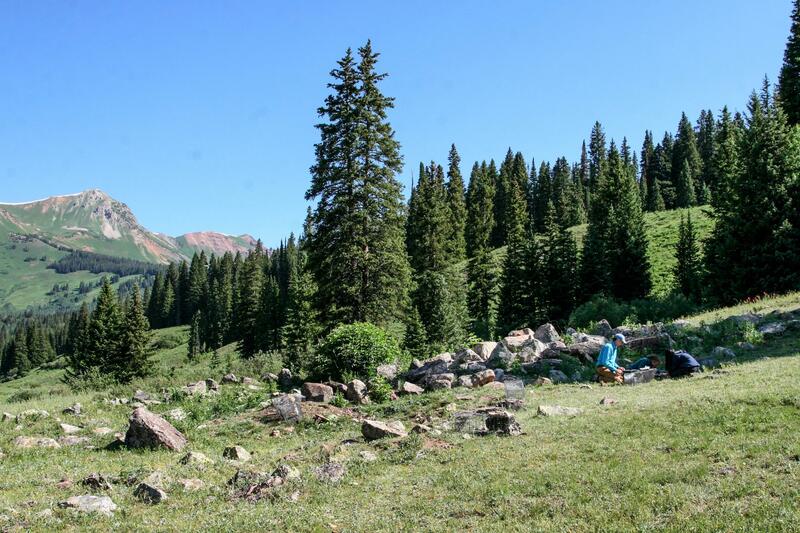 Ecologist David Inouye says he has counted nearly 5 million flowers in the meadows around the Rocky Mountain Biological Laboratory. He says he sometimes feels like "the Count" from Sesame Street. Slivers of snow still hide in coulees near Schofield Pass. A low winter snowpack and high spring temperatures melted most of winter's snow earlier than normal in Colorado's Rocky Mountains. Michael Stemkovski and the bee team walk through meadows of purple lupines and other wildflowers looking for native bees. Members of the UCLA marmot team process yellow-bellied marmots they've trapped in metal cages. They trap in the morning while the temperatures are still low enough to keep the animals from being harmed. 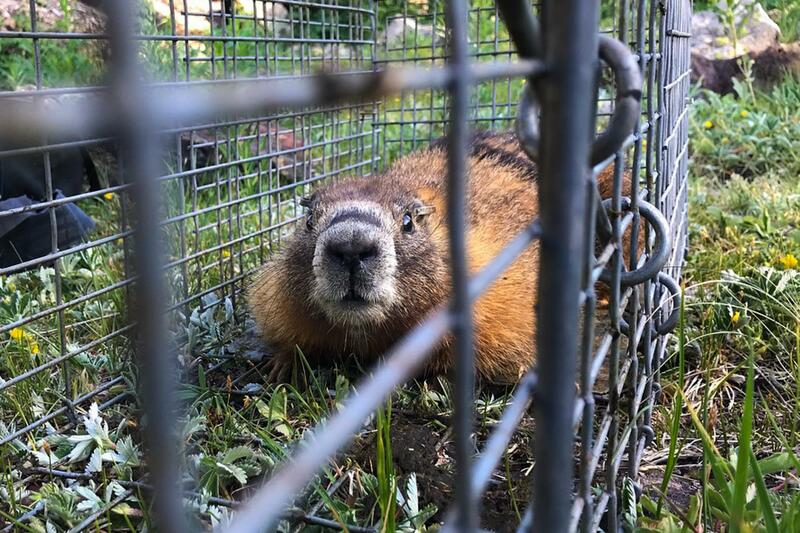 Marmot researchers at the Rocky Mountain Biological Laboratory try to capture and tag every yellow-bellied marmot in their research area to know how individuals and populations are impacted by changing climate conditions. 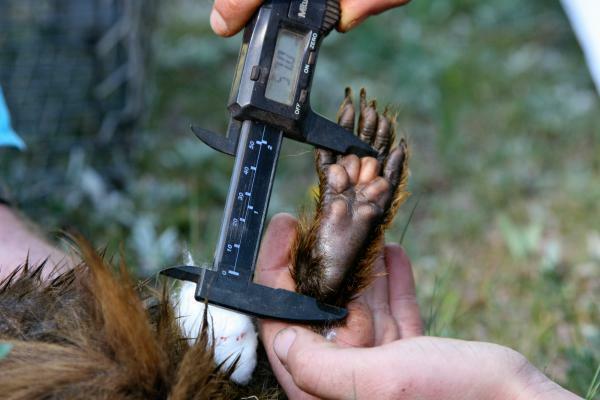 Dana Williams, a member of the UCLA team, measures the clawed paw of a yellow-bellied marmot. The researchers measure paw size and weight and take blood and stool samples from the marmots they catch. Ecologist John Harte overlooks his nearly 30-year experiment simulating the expected conditions in these meadows by 2050. Tangles of sagebrush grow under lines of heat lamps, pushing out some of the flowers and plants that normally cover the ground. There's a cycle that starts when the snow melts and the earth thaws high in Colorado's Rocky Mountains. It's a seasonal cycle based on timing and temperature, two variables that climate change is pushing increasingly out of sync. To the outsider, it can be hard to see: Plants still grow, flowers bud, bears awake, and marmots breed. Broad-tailed hummingbirds still trill around a landscape that evokes the opening scene of The Sound of Music, with flowery meadows and granite peaks. But those who know this ecosystem will tell you something is a little off. The flowers are blooming earlier. The marmots are mating in early May. Spring is springing sooner across the Northern Hemisphere, changing natural cycles around the world. In Alaska, brown bears are changing their feeding habits to eat elderberries that ripen earlier. In California, birds are nesting and breeding a week earlier than they did a century ago. 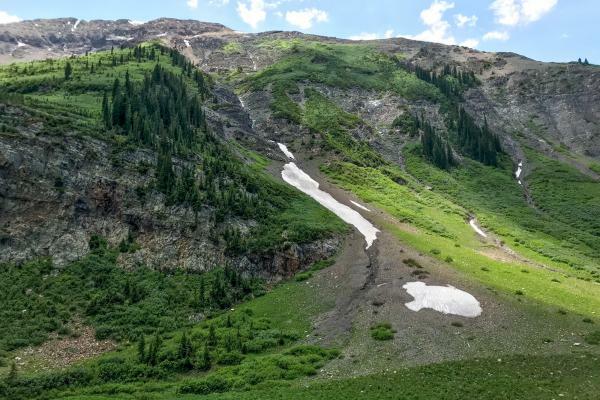 "One of the consequences of climate change is that even though everything is happening earlier, they're not changing at the same rate," says David Inouye, an ecologist from the University of Maryland who has spent more than 40 years documenting the change in Colorado's alpine meadows. The results can be seen all around him. Flowers are blooming before there are bees to pollinate them. Hard frosts are still occurring long after winter's snow melts away, decimating fruit orchards and budding plants. Allergy season is getting longer. 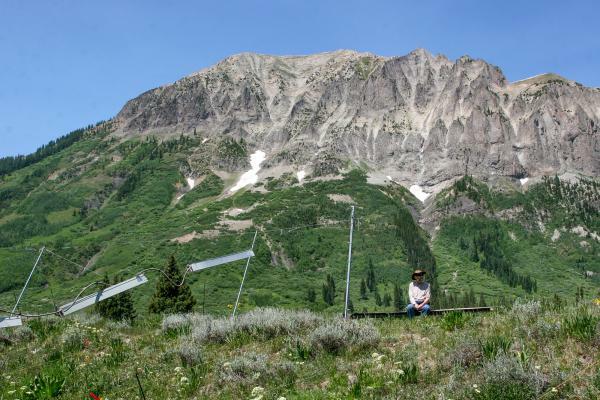 Inouye says that when he started spending his summers at the Rocky Mountain Biological Laboratory in Gothic, Colo., cataloging flowers in the thin mountain air, climate change wasn't really a thing people were talking about. But as time went on, the evidence of it started to become unavoidable. "Temperatures are getting warmer here," he says. "The April low temperatures here are now about 6 degrees Fahrenheit warmer than they used to be." Some plants and wildlife, taking their thermal cue, have been able to adapt in kind. Some are thriving. Others are being left behind. Colorado's snowpack this year was the worst it had been in more than 30 years. Temperatures in early spring soared. Many researchers here view this as a glimpse of things to come. "You can see it visually," says Rebecca Irwin, an ecologist from North Carolina State University. "We have less flowers." Fewer flowers means less food for the native bees that buzz around in meadows like the one Irwin stands in. She and two others are equipped with wispy butterfly nets and fanny packs filled with plastic vials. They're hoping to get an idea of how different bees are doing in this environment by catching as many of them as they can over the course of an hour. It is a task that proves easy. With lunges and hops, they catch sweat bees and leafcutter bees, queens and workers. At the end of the time period, it's clear that they caught far fewer worker bees than they would have in a normal year. "It's hard to know if they're just delayed or if they're not doing well because there's no food for them," Irwin says. Some bees, Irwin says, seem to be doing fine. In years like this, they're able to emerge earlier to meet the early bloom. "But some of them are constrained by how long it takes them to develop," she says. The fear is that those bees and the flowers that depend on them for pollination could slowly get pushed out. Michael Stemkovski of North Carolina State says documenting these changes can be disheartening. "It's kind of like watching an illness progress without having the tools to remedy it." The ability of a species to adapt to its circumstances — to roll with the environmental punches, so to speak — is called plasticity. Species that have a lot of plasticity tend to be generalists. They're able to make the situation work. Species with less plasticity, those that depend on a specific ecosystem or climate, are more likely to struggle. "When you think of a plant that can't move over its lifetime, it either tolerates a dry area or it doesn't," says Dan Blumstein, a conservation biologist from the University of California, Los Angeles. He specializes in marmots, a large ground squirrel that is, in Blumstein's words, "remarkably plastic." 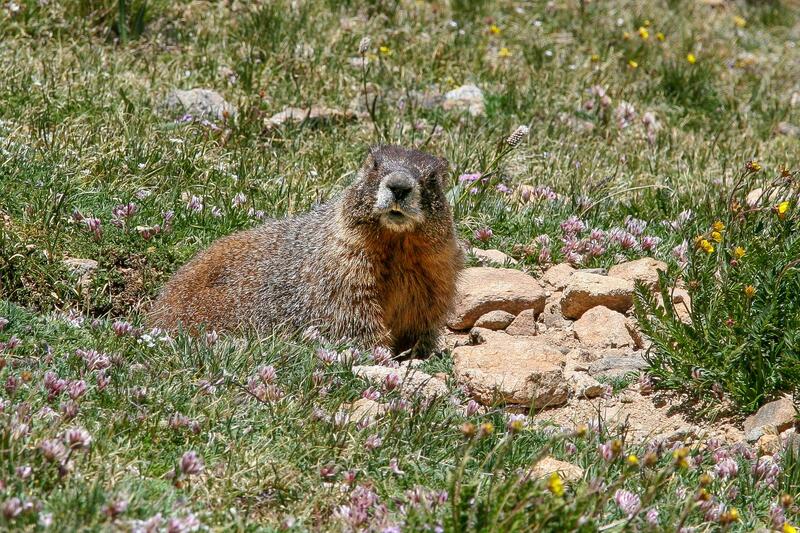 "Marmots are all about getting obese," Blumstein says. "They adjust their annual schedule appropriately to be active when the vegetation is growing." An earlier spring means a longer growing season, so they have more time to gather food. As a result, Blumstein says, marmots seem to be getting bigger. He stops short of calling them a "climate change winner" though, noting that a longer growing season also means more chances for them to be killed by predators. Other species are emerging as winners though, including "some that people might not be very fond of," says Jill Anderson, a geneticist at the University of Georgia. She points to poison ivy, which is expected to thrive with more carbon dioxide in the atmosphere. 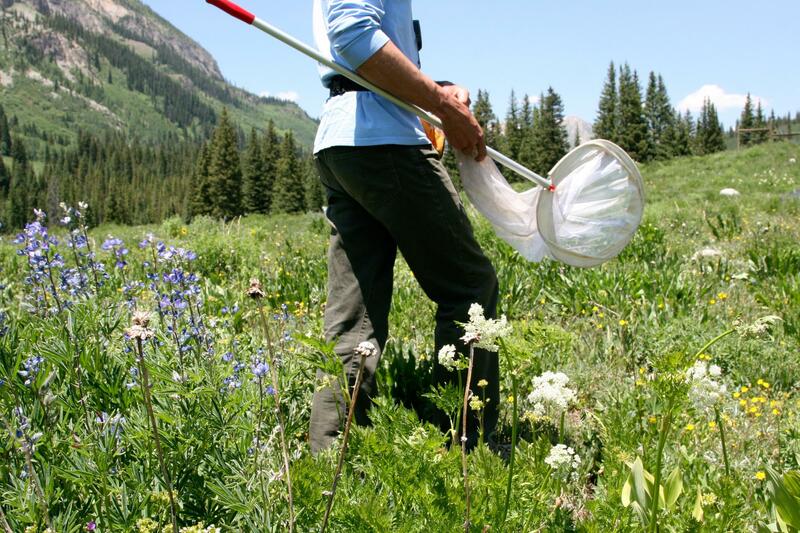 Researchers at the Rocky Mountain Biological Laboratory also report seeing far more ticks this summer than in any previous year. That report is consistent with studies showing that the range for ticks is increasing with a warming climate. And there is a lot of evidence that climate change is diminishing biodiversity, which can be seen in these alpine meadows as well. Just off a ridge, in a verdant meadow, John Harte, an ecologist from the University of California, Berkeley, has created a window into the future of this place. It's a grim one. "When I tell people what to expect, I say, 'Well, imagine the opening scene of The Sound of Music was filmed outside of Reno, Nevada,' " he says. "Because that's what it's going to be." Twenty eight years ago, Harte suspended a series of heat lamps in long, humming rows, a few feet off the ground. The lamps, which were designed for chicken farmers in Pennsylvania, raise the temperature on the ground by about 4 to 5 degrees. "That's comparable to the climate we expect by the year 2050," he says. The heat lamps have been on since then, day and night, and the change that is occurring beneath them is remarkable. The yellow and purple flowers that dot the landscape nearby are mostly gone. In their place is sagebrush, a prolific plant that you would usually see at lower elevations. "We are projecting that all of these meadows are going to look like that," Harte says, pointing to the gnarled plant. "We are homogenizing the planet." There's another concern, just as great. Harte and his colleagues have found that the heated soil holds far less carbon than the native ground. That missing carbon, he says, is going into the air, creating the potential for a feedback process that will accelerate climate change further. "Ecosystems affect climate just as much as climate affects ecosystems," he says. "And the changes happen quick." The warming climate means some dramatic changes - more floods, intense wildfires, extreme heat, other changes you may not notice as much. As part of our Summer Series, NPR's Nathan Rott reports from the Rocky Mountains where rising heat is disrupting the very rhythm of the natural world. ROTT: ...The melting of winter snow. As the snow recedes, earth thaws, and plants grow. Flowers bloom, and trees fill out with leaves. ROTT: ...Each evolved to play its own role in this interdependent dance. But in a year like this when the snowpack is low and temperatures soar, that snow melt happens faster and earlier than normal. ROTT: And that whole natural cycle can get thrown out of whack. ROTT: David Inouye knows this better than most. He's one of the world's leading experts on phenology - the study of these seasonal events. INOUYE: It might be, when do flowers come into bloom? When do migratory birds arrive? Anything that has a seasonality to it, you can measure the phenology. ROTT: Inouye's specialty is flowers. 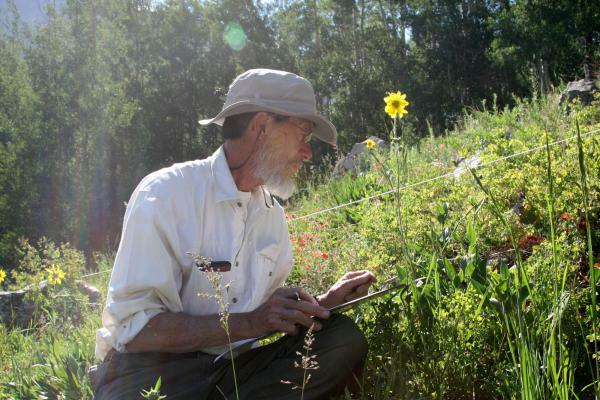 He's been studying them here at the Rocky Mountain Biological Laboratory some 9,000 feet above sea level for more than 40 years, doing basically what he's doing now - crawling on a hillside cataloguing flowers. INOUYE: We've now counted - oh, coming up probably on 5 million flowers over the years. ROTT: When he started, Inouye says, climate change wasn't really a thing that people were talking about. He was just interested in how flower abundance and timing varied from year to year. And there is a lot of variance. As we all know, some years, winter drags on and on; others, it's a relative blip. But Inouye says a larger trend is evident. INOUYE: Spring is happening earlier. Despite all the variation from year to year, on average, the spring is getting earlier. ROTT: This is true across the Northern Hemisphere, and it has dire consequences for agriculture and meadows like this. Plants, taking their ecological cue, are sprouting sooner, leaving them vulnerable to late-season frost - the remnants of a winter ended too soon. INOUYE: Here's one that probably got frosted. ROTT: And that has a ripple effect. In a windy, green meadow, Michael Stemkovski digs through a bag of plastic vials. MICHAEL STEMKOVSKI: These are vials that we collect our bees in. ROTT: Stemkovski is part of the bee team at this research station. He and two others, Matt Turnley and Rebecca Irwin, stand next to a flowering purple lupine equipped with wispy butterfly nets. They're aiming to catch as many bees as they can over the next hour to get an idea of how different populations of native bees are doing. And it's not exactly hard. ROTT: With a lunge, Stemkovski puts the net over a flower and then waves it back and forth through the air, ferrying the bee into the pointed end tip of the net. ROTT: Oh, wow, it's tiny. STEMKOVSKI: ...What's called a sweat bee. ROTT: It's almost like an ant. STEMKOVSKI: Yeah. If you look at the underside, there's all that yellow right there. That's pollen that it's spent this morning collecting from these yellow flowers. ROTT: This is what's supposed to happen. Bee gets pollen. Flower gets pollinated. But by the end of the count, it's clear that there are fewer worker bees buzzing around than normal. Irwin, the leader of this group, says that some bees are able to adapt to changing rhythms. In a hot, dry year like this when flowers bloom early, they can adapt to meet those changes. REBECCA IRWIN: But some of them are constrained by how long it takes them to develop. ROTT: They can't emerge earlier. It's just not in their DNA. So those bees and the flowers that depend on them are gradually getting pushed out. Stemkovski says documenting the change can be disheartening. STEMKOVSKI: It's kind of like watching an illness progress, you know, without having the tools to remedy it. ROTT: The flexibility of a species to adapt to its circumstances, its ability to roll with the environmental punches, so to speak - scientists call that a species plasticity. Jill Anderson, who studies the plasticity of native plants in these Alpine meadows, says many of them are hitting the limits of that adaptability. We catch her hiking back from a field site. JILL ANDERSON: Climate change is moving too fast for many populations to adapt in the sort of rapid fashion that they would have to. ROTT: ...A relative to the groundhog that is unspeakably cute - but others, Anderson says, that are a little less lovable. ROTT: ...Ticks, pine beetles and mosquitoes. A few of the biologists at this research center said they'd seen more ticks this year than they'd ever experienced in the past. Dan Blumstein, who heads the marmot research here, says jarring changes are happening now. DAN BLUMSTEIN: There's a conservation biology idea called shifting baselines. And the idea is that you sort of imprint on something maybe when you're a kid or when you first explore an area, and you think that's how it should be. And I'm 54 now. Baselines have shifted, and you see them shifting, and it's really freaky. ROTT: To get an idea of just how much further these baselines might shift, we hike into one of the longest-running climate experiments in the world with ecologist John Harte. His experiment is a preview of what's to come. JOHN HARTE: And it's pretty grim. ROTT: Harte walks us past flowers and trees to a wide ridge where a series of long, metal heat lamps are suspended by wire a few feet off the ground. ROTT: These lamps, Harte says, have been on day and night for 28 years, raising the temperature on the ground below by about 4 to 5 degrees. HARTE: And that's comparable to the climate we expect around the year 2050. ROTT: The ground beneath the lamps is remarkably different. The yellow and purple flowers that dot the meadows around us are mostly gone. In their place is gnarled sagebrush, a prolific plant that you'd usually see at far lower elevations. Hiking again in the thin mountain air, Harte says heat is reshaping the planet. HARTE: So when I tell people what to expect, I say, well, imagine the opening scene of "The Sound Of Music" was filmed outside of Reno, Nev., because that's what it's going to be. ROTT: And it's going to be that way, he says, faster than most people think. Nathan Rott, NPR News, Gothic, Colo.
(SOUNDBITE OF FAIT'S "SOLACE") Transcript provided by NPR, Copyright NPR.